Yet another Manchester United player is unsettled at the club and considering his long-term future at Old Trafford due to harsh treatment from manager Jose Mourinho. This is according to a report from the Metro, who state that Bailly feels unfairly marginalised by Mourinho after a slightly unconvincing start to the 2018/19 season. The Ivory Coast international missed a number of games at the end of last season, but looked likely to become first choice this term after starting alongside Victor Lindelof in the first two games against Leicester City and Brighton. However, a poor display in the latter, a 3-2 defeat for United, saw Bailly dropped for the next match at home to Tottenham, with midfielder Ander Herrera preferred to him in a back three. The Metro now state this has led Bailly to consider his situation with the Red Devils, and he’s far from the first to feel this way under the current manager. 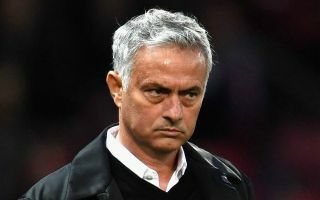 Mourinho is known for being a difficult and demanding character, and the Daily Mirror suggest Paul Pogba is still in the long run looking to leave the club, largely down to his strained relationship with the Portuguese coach. Anthony Martial is another who’s struggled under Mourinho, and RMC recently claimed he wanted to leave the club, though the Times then reported that he was prepared to sign a new contract, though only because he felt he could out-last the manager at Old Trafford.